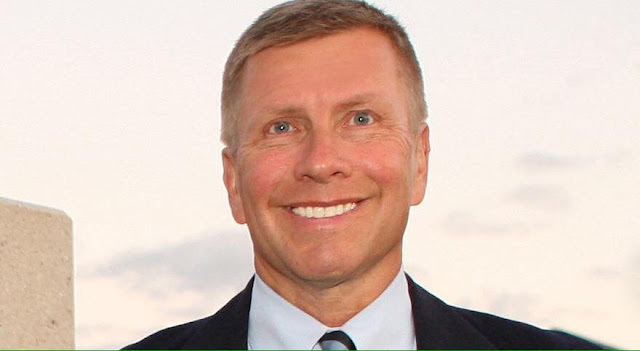 West Michigan Politics has learned that Cass County Prosecutor Vic Fitz is expected to be named the new US Attorney for Michigan's Western District by Attorney General Jeff Sessions. 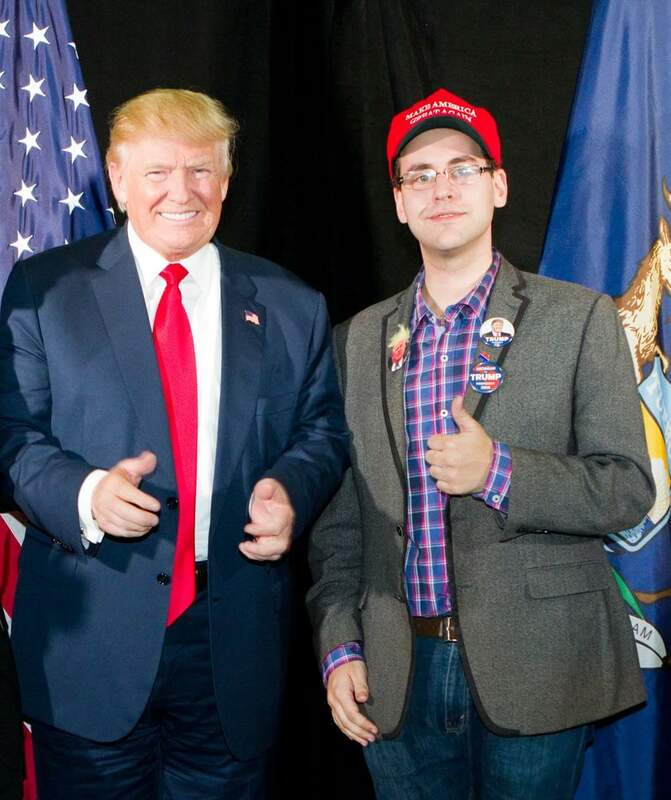 Fitz was a strong supporter of President Trump in the 2016 campaign, serving as 6th Congressional District Chair for the campaign, as well as giving frequent media interviews supporting Mr. Trump. Fitz edged out prominent Grand Rapids lawyer Adam Tountas, a former Ottawa County GOP Chair and Jenison Public School Board Trustee, to get the position. The announcement of Fitz is expected sometime in March, though could come as early as next week. Fitz's impressive resume includes his work as President of Prosecuting Attorneys Association of Michigan, as well as a board member for the state Crime Victim Services Commission. 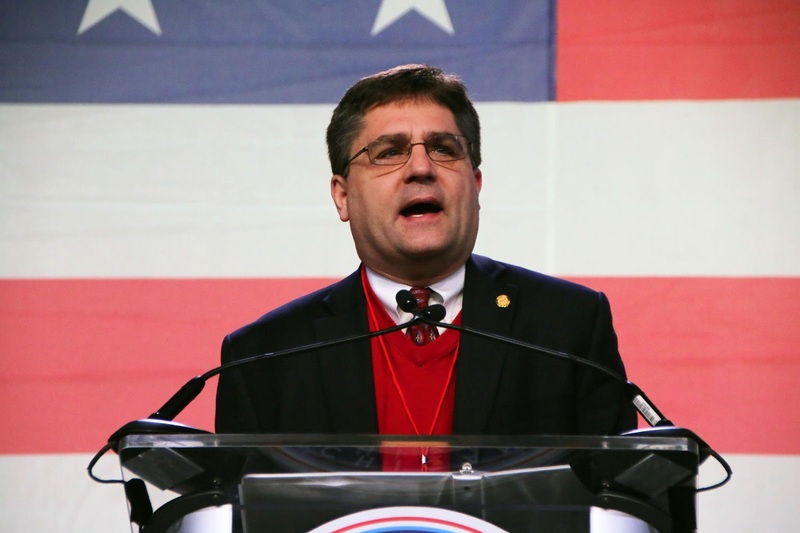 State Senator Patrick Colbeck will debate the Democrats running for Governor next week in Detroit. Colbeck will face off March 3rd against Shri Thanedar, Gretchen Whitmer, Bill Cobbs, and Abdul El Sayed. At this time, there is no word whether fellow Republican Gubernatorial candidates Attorney General Schuette or Lt. Governor Brian Calley will be in attendance with Colbeck. The event is called "The People's Governor Forum" and takes place at Tabernacle Missionary Baptist Church, 2080 W. Grand Blvd in the D, starting at 1 and slated to run until 3. "Our campaign will continue to engage voters every chance we get," Colbeck said in a Facebook statement. "Voters are inspired by what we’re going to accomplish with principled conservative leadership in Lansing. It’s important for citizens to know what they’re voting for when they enter the voting booth on election day. With every chance we get to appear next to our opponents, the difference between our campaign of bold colors and the others of more politics-as-usual becomes clear. After participating in several other town halls around the state with most of our Republican opponents over the past month, our campaign is excited for the chance to talk about our vision for Michigan in the Detroit forum." 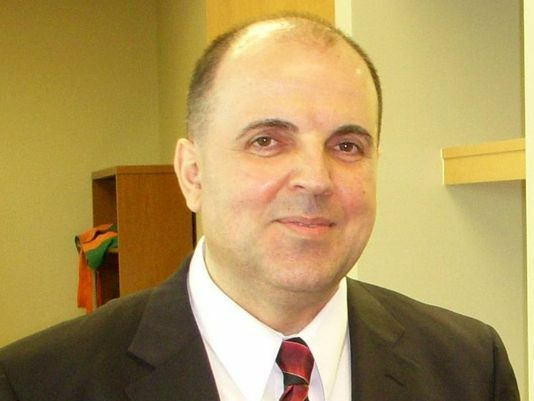 Fata, formerly a Doctor in the Rochester area, currently sits behind bars at a federal prison in South Carolina after he was caught diagnosing patients with cancer who never really had the disease. Instead, Fata was lying so he could cash in on radiation and chemo treatments. For years, Fata scammed scared and desperate victims, raking in nearly $35 million during that time. Over 500 victims of Fata have been identified during the federal prosecution, 553 to be exact. Many believe there are more. "Federal investigators amassed evidence that Fata had bullied or deceived 553 people into getting chemotherapy treatments they didn't need, leaving the patients' insurance companies and Medicare stuck with $34 million in fraudulent and unnecessary claims," according to Wikipedia. "They also found that Fata took kickbacks from two local hospices, and poured Medicare and private insurance proceeds into his own diagnostic testing facility, where he ordered unnecessary diagnostic tests. On the basis of these findings, Barbara McQuade, the United States Attorney for the Eastern District of Michigan, won a series of superseding indictments against Fata. They culminated in a 23-count indictment charging Fata with health care fraud, conspiring to take and receive kickbacks, money laundering, and unlawfully procuring naturalization. The last charge was added because McQuade contended Fata had concealed the extent of his fraud from immigration authorities when he applied for citizenship." Jeff Berz knows all too well about Fata, the evil acts he perpetrated, and the devastation he left in his wake. "My dad was one of the victims of Fata," Berz tells WMP. "He was such a good man. He was awarded the prestigious Wright Brothers Master Pilot Award by the FAA for his life long contributions to aviation. Fata poisoned and killed hundreds of his trusting patients with chemotherapy and many other forms of the most expensive cancer medicines. Many of the patients never even had cancer, but he treated them anyway, causing irreversible damage and often times, death." 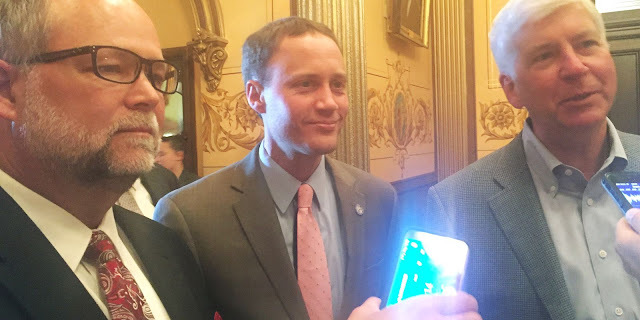 Berz says he and many victims are perplexed over how they have been treated by the State of Michigan, particularly Attorney General Bill Schuette, as well as LARA, the Department of Licensing and Regulatory Affairs. "The federal government arrested Fata in 2013 on insurance fraud charges, Berz said. "Never once did the state of Michigan discuss criminal charges. Why? The severity of this case was unprecedented. It was similar to the work of a serial killer, but nobody brought criminal charges to the case. Later in 2013, we found out that there had been an official complaint made against Fata with LARA by a seasoned and credible oncology nurse. To date, we have no idea if anybody actually did an investigation or not." "In 2010, Oncology Nurse Angela Swantek interviewed for a position at one of Doctor Fata’s cancer facilities in Rochester, Michigan. Nurse Swantek had been an Oncology nurse for 19 years at this time. You may also see this on the official complaint form. Nurse Swantek was shocked at what she saw being done at the Fata facility. She saw many violations with OSHA and the way that medications were being given and delivered. She observed patients being harmed because they were being given chemotherapy and supportive therapy incorrectly, and at the wrong times. These facts may also be seen in the enclosed complaint form. Nurse Swantek was so appalled at what she saw at the Fata cancer facility that she left the office the very same day and went to her car and cried. After wondering about what to do, she filed the official complaint . 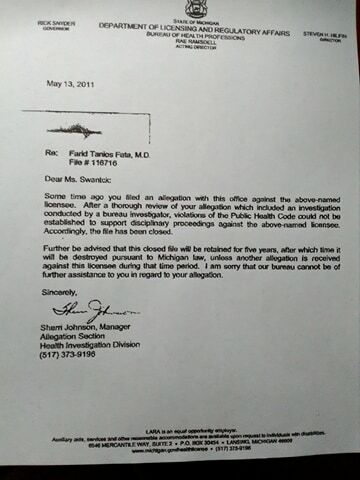 Nurse Swantek made the official complaint to the Michigan Department of Licensing And Regulatory Affairs or LARA on April 14, 2010. According to the response that she received from LARA on May 13, 2011 almost 11 months to the day, LARA had found no evidence of wrongdoing at the Fata cancer facility and closed the file. Had a “thorough review” and “investigation” been done, this would have been an opportunity to save hundreds of victims lives and keep hundreds of victims from being harmed by Doctor Fata in the next 3 years it took until he was arrested on Federal charges of insurance fraud. We as a group want to know how this “thorough investigation” failed to substantiate a single claim that Nurse Swantek made in her complaint. We want to know when the investigation was done, where it was done, by who it was done, how long the investigation took, and what superior in the Department of LARA was this reported to. We would also like to know if th LARA was asked to stand down while the Federal Government made their case for insurance fraud. Between April of 2010 and the time that LARA responded to the complaint, Fata poisoned and killed hundreds of his trusting patients for greed and personal gain. Many survivors today are suffering from the loss of teeth and hair and many have no immune system left to keep them healthy after being overdosed with chemotherapy and other cancer drugs that most people didn’t even need." Berz says Schuette has ignored him and others impacted by Fata. "Schuette did nothing for us as survivors and victims, which makes most of us wonder about a cover up for not acting properly and in a timely manner," Berz tells WMP. Berz says seeing Schuette talk about the Nassar investigation at MSU is upsetting. "It just burns me up to see Schuette acting like the compassionate and caring Attorney General in the Nassar case while he totally ignored us and our requests for answers on this alleged investigation," Berz said. Berz says hundreds of victims and their friends and families have tried to contact Mr. Schuette, but their desperate, heartfelt pleas have fallen on deaf ears. "We have not been allowed to have answers," Berz says. "Hundreds of us from our victim group 'Patience & Families Treated by Dr Fata' tried to contact Bill Schuette for guidance and help. He never answered a single one of us and has completely ignored our pleas to get the answers that we deserve." Schuette seems to have had only two minor brushes with the case. The first was suspending Fata's medical license after charges had already been filed by federal prosecutors, a mere formality. 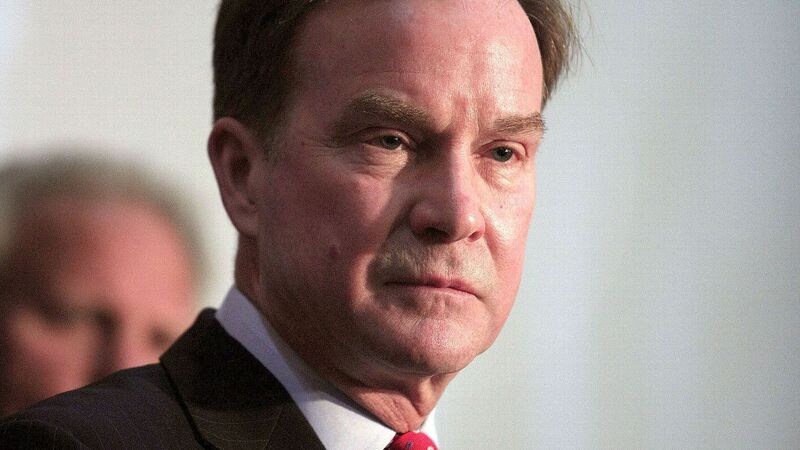 The second time, Schuette attended a gala for crime victims and briefly mentioned the case. On a Facebook group dedicated to the Fata tragedy, people impacted by his evil acts responded to the brief recognition. "He certainly can't hide from us any more and hopefully he will become the advocate he pretends to be," one person said. "Well if nothing else, maybe he can come serve us some coffee. I hear he is quite good at that," another wrote. The group is full of comments expressing anger, disappointment, and frustration with Schuette. 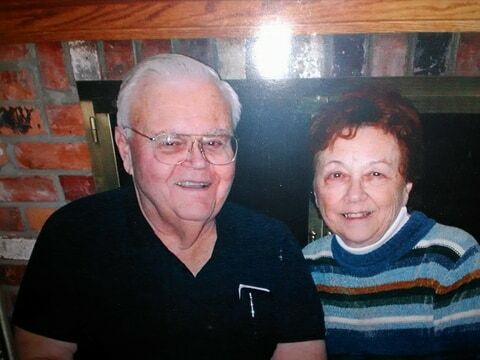 In one post, a heartbroken family member shared a letter they wrote to Schuette. You say you are a leader who is unafraid to make decisions. You say you have the strength and experience to make Michigan safe again. You say ‘As Attorney General, I’ll put safety first. I want to make Michigan the safest place in America to raise our children.” Did you lie? Do you care? Are you hoping the federal authorities will do the dirty work so you can spend some extra time at the Mackinac Republican Leadership Conference Grand Hotel? The Patients and Families Treated by Dr. Fata deserve to know the actions your office is taking to investigate and charge Dr. Farid Fata. Our group is over1,300 members and we are growing. We are not doing this as a political venture. Loved ones have died, loved ones have suffered, loved ones deserve justice. We want to know that you are true to your word and keeping your campaign promises. Victims don't expect much from Schuette, they just want to be heard. "Speaking for myself here, but I wasn't asking him to "go after" Fata because I clearly understood the fraud case and what they could charge him with," said another person impacted by Fata. "But as my Attorney General, I certainly looked to him to set a clear tone to the public that this would not be tolerated. Empathy to the victims and families. One answered letter, email, or phone call should've happened. He did NOTHING!" Others hurt by Fata share that feeling as well. "You are right...When I met with him last Fall(2016), I specifically called him out on that," another group member wrote in response to the previous quote. "He said he was caught off guard and had to think about his answer to my question. After that, i received a letter from him thanking me for the question. I simply asked why he never addressed the group personally. We were told it was actually a Federal investigation and that is why he didn't. He admitted it wasn't right and he probably should have spoken with us. I told him just one meeting or conversation would have made us feel as though they cared, but that never happened. Even though there was much confusion because Michigan was asked to stand down by the FBI, he could have spoken to us at one of our meetings. I told him he's been great at coming out for the Flint water crisis, human trafficking in MI and the meningitis patients (they got it because of their treatment or something), but he never spoke with us. It would have taken 10 minutes and we all would have felt just a little better." Berz recently wrote Schuette yet again, still holding out hope he and others hurt by Fata will get the answers they deserve. "During the time after Fata’s arrest in 2013 on the insurance fraud charges many of us as victims and family members had no place to turn. We had formed a Facebook group that was growing by the day. Many of us reached out to you Mr. Schuette for help and direction. From you we received absolutely NOTHING!!! The fact that you are the Michigan Attorney General and that you are allegedly the number 1 advocate for victims in our state we thought that you would have responded and showed us some care and compassion but you ignored us!!! I even had the chance to approach you at a Lincoln Republican dinner at Penna’s in Sterling Heights, MI where you assured me that you were on top of the case. We never heard from you. WHY???? At this point we had to assume that there was a reason that the Michigan Attorney General is dodging us. Many of us suspected that the alleged investigation into Nurse Swantek’s complaint were done improperly if it was done at all. Since the time that the original complaint was made in April of 2010 until the arrest in 2013 do you know how many people have suffered and died? Do you know what this has done to people who are now survivors? Do you know what this has done to families? Do you know that people have lost their jobs, their homes and their livelihoods due to this horrific crime? Most importantly DO YOU EVEN CARE? It sure doesn’t seem like it. In the wake of the Flint Water Crisis you have been aggressively going after anyone and everyone who was associated with the crime. You are prosecuting people for not doing their jobs and for not performing their investigations in a proper and timely manner or not reporting at all. The Federal government was also involved in this case yet you are still the one prosecuting the wrong doings. In the Larry Nassar case you are “On Duty Bill Schuette”. You are all over this case. You pledge to get to the bottom of this case 100%. You are showing care, compassion and empathy for the survivors and their families yet you showed the victims, survivors and family members in the Fata case nothing. Mr. Schuette what is the difference? We would like to know and we would like answers to the questions that we have asked. Hopefully you will be able to come forward with the truth and help us try to deal with what has happened to us and our loved ones." About that brief encounter Berz referenced a moment ago: Mr. Schuette promised him he would follow up about the case, but never did. 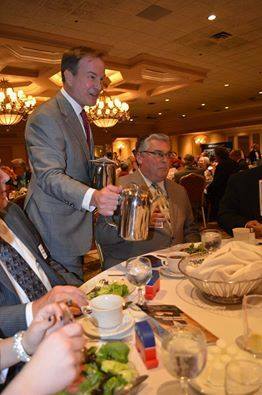 In classic Bill Schuette fashion though, he did come through on one thing: he poured Berz coffee. Lt. Gov. 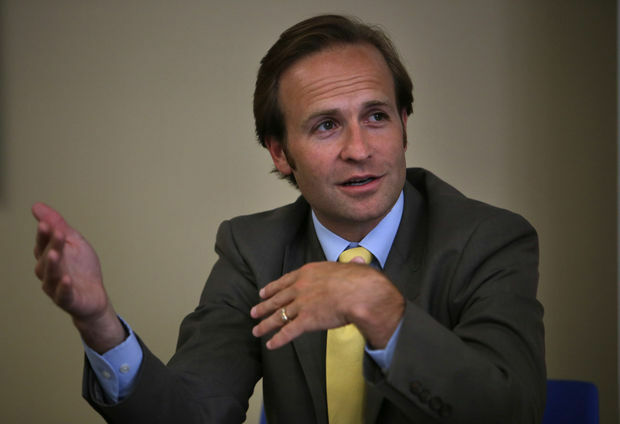 Brian Calley recently announced his statewide finance committee for his campaign for governor. The committee will be co-chaired by Dan and Pamella DeVos of Grand Rapids, Phillip Fisher of Bloomfield Hills, and Jim B. Nicholson of Detroit. Calley also announced regional finance chairs and "cabinet members" who will help Calley "Continue the Comeback and take Michigan to the next level." Southeast Michigan cabinet members: Steven Haddad, Carlos Hesano, Steve Hilfinger, Joey Jonna, Arie Leibovitz, Ben Maibach, Clint Mansour, Cindy Pasky, Bob Schaffer, Tim Shepard, Brett Tremain and Norman Yatooma. West Michigan cabinet members: Chris Beckering, Jim Brooks, Noel Cuellar, Mark de Waal, John Essex, Craig Hall, Mike Lomonaco, Dan Meyering, Andrew Reames, Sydney DeVos Reames, Brian Walker and Jim Williams. Southwest Michigan cabinet members: Bud Dunn, Joe Gesmundo, Mark Jones, Marc & Jeanne Schupan, Charles Zhang and Lynn Zhang. Northern Michigan/UP cabinet members: Bob Barnes and David Gahm. Calley also recently announced Matthew Gibb, a lawyer from Oakland County, as his campaign manager. The disastrous "driver responsibility fee" program former Governor Granholm created to squeeze more money out of Michigan drivers is dead after Speaker Leonard, Senate Majority Leader Meekhof, and Governor Snyder reached a deal Wednesday morning. The deal also increases the personal tax exemption from $4,000 to nearly $5,000. It's hard to get rid of a government program once it starts sucking the life out of taxpayers, and Leonard, Meekhof, and Snyder deserve a lot of credit for getting the job done and eliminating this terrible money grab. Former State Rep. Joe Haveman, now running to replace Meekhof in the State Senate, also deserves kudos for his previous work on this issue. "The House of Representatives and Senate have reached a compromise with Gov. Rick Snyder to hike the personal tax exemption for Michigan residents and eliminate costly driver responsibility fees and forgive $634 million in debt owed by nearly 350,000 drivers. The tax cut bills were spawned by the recently approved federal tax cut package, which state officials have said will create an unintended state tax increase of about $1.5 billion by eliminating the state personal exemption. The House and Senate are scheduled to give final passage this afternoon to both the personal exemption hike and the elimination of driver responsibility fees. Driver responsibility fees, ranging from $100 to $2,000, were passed in 2003 to help fill a budget hole when Michigan’s economy faltered. And the money raised – between $99 million and $115 million a year – did help the state’s general fund. According to the Michigan Department of Treasury, nearly 350,000 Michigan drivers still owed $637 million in driver responsibility fees. -Forgive all outstanding driver responsibility fees when the program is eliminated on Oct. 1, 2018. -Create an education outreach program to let drivers know how to reinstate their drivers licenses. -Reinstate the community service program for people who can’t pay off their fines before the program is eliminated. -Provide immediate forgiveness of outstanding debts to people who have been making a good faith effort to pay off their fines. -Reinstate the eligibility for drivers’ licenses to affected drivers when the program is eliminated and waive the $125 reinstatement fee. -Create a path for drivers to use district court sobriety programs to regain their license." Attorney General Schuette likes to talk tough about the Flint Water Crisis these days while running for Governor, but that wasn't always the case. Back in 2015, Schuette wanted nothing to do with what happened in the poor, working class city. Mr. Schuette now audaciously proclaims on Twitter that "Had government leaders listened sooner to real people, we could have slowed or stopped crises like Flint or MSU. As governor, I will meet and hear from real people to make sure this doesn't happen." Let's rewind to mid January of 2016. "On Friday, Attorney General Bill Schuette called for an investigation into the Flint water crisis. Just three weeks ago, however, Schuette had declined to take any action when asked by a Flint representative to do so. Schuette's office said that they will now look to see if any Michigan laws were broken. Schuette described the Flint water crisis as a "human tragedy." In September of 2015 State Representative Sheldon Neeley asked Schuette to investigate the Flint water crisis. In a letter to Schuette's office, Neeley said, "I make this request to urge the Attorney general's Office to investigate and determine if the City of Flint and/or the State of Michigan and its agents have culpability and responsibility for this unfortunate problem. " On December 22, 2015 the Attorney General's Office sent a response to Neeley. In a response to Neeley, Rusty Hills, the Senior Advisor from the Executive Division, told Neeley, "As the Attorney General explained, given the multiple reviews by federal and state agencies, and the pending and potential federal court actions, we do not believe it necessary to conduct an additional investigation." NBC25 News has reached out to the Attorney General's Office and asked what changed between December 22 of last year and now. Schuette's office tells NBC25 that they have no comment." That timeline puts Schuette's initial refusal to investigate around the time right before Christmas. The cameras showed up, big league. From every corner of Michigan and all across America, the media descended on Flint, and miraculously, Schuette had a change of heart. "This morning, I am formally announcing an investigation into the Flint water crisis," Schuette announced at a press conference a few weeks after saying no investigation was needed, cameras were flashing and reporters were buzzing. "The situation in Flint is a human tragedy in which families are struggling with even the most basic parts of daily life. While everyone acknowledges that mistakes were made, my duty as attorney general requires that I conduct this investigation. Without fear or favor, I will carry out my responsibility to enforce the laws meant to protect Michigan families, and represent the citizens of Flint." It's almost comedic the difference a couple weeks and a few dozen more cameras can make, isn't it? The people of Flint are not laughing, though. Go ask real people on the street there what they think of the "investigation," ask them if the Attorney General is "on duty," see the reaction you get. One Flint activist tweeted, "Schuette behaves as if the internet doesn't exist. Archived articles hold the history of your flip flopping," adding "Flint residents' trauma isn't a talking point or a launching pad for your political campaign. Stop exploiting us for your political career." Long before Neeley's high profile request, average Michiganders desperate for help pleaded with Schuette's office for assistance, but no one cared. 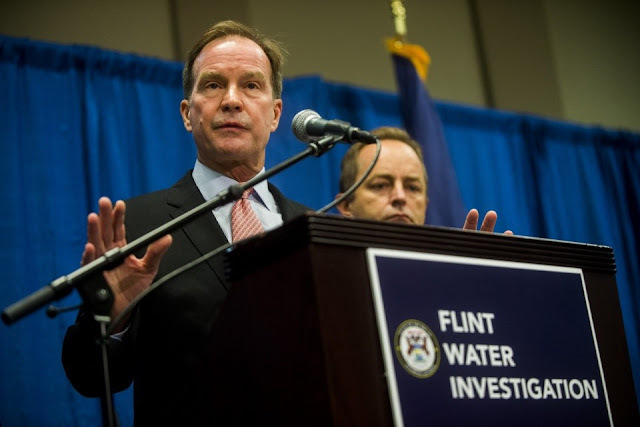 "Attorney General Bill Schuette’s office received at least 15 complaints addressing water quality concerns in Flint — some sent a year before Schuette announced a criminal investigation into the lead contamination crisis, according to documents shared with The Detroit News. A handful of people sent complaints on Jan. 29, 2015 — a year before Schuette announced an investigation into the matter, and eight months before Genesee County issued a health warning about Flint’s drinking water. Six complaints were sent between Jan. 29, 2015, and April 9, 2015." At least one complaint wasn't turned over by Schuette's office, meaning there could be many more than just the 14 Schuette claims. "Flint activist Rhonda Chisum-Kelso shared a 15th complaint with The Detroit News that wasn’t included in the original Freedom of Information Act request, which she sent on Feb. 25, 2015. The Attorney General’s Office had no immediate comment on why Chisum-Kelso’s complaint wasn’t included in the open records request. Chisum-Kelso said she believes the government doesn’t care about people in Flint. She is disabled and said she has a 13-year-old daughter with a mental disability. Flash forward to the MSU "investigation" now underway by Mr. Schuette, a story in itself for another time. The case mirrors Flint in at least one prominent way, the fact that the Trustees had to BEG him to initiate an investigation after over a year is appalling, unacceptable, and outrageous. He was reluctant to do his job until the media blitz lit off, just like Flint. With journalists eager to break news on MSU, Schuette couldn't help himself. Apparently, he had a staffer leak to the press that investigators would be coming to seize documents from the University, and cameras were already in place by the time they showed up. Interim MSU President John Engler slammed Schuette for the cheap stunt, subsequently asking him to be removed from his list of endorsements for his Gubernatorial campaign. Prosecuting cases like Flint and MSU for media attention is not only wrong, it's dangerous and disturbing. All Michiganders should worry when our state's top law enforcement officer conducts business in such a sleazy manner. Mr. Schuette has undoubtedly given the Democrats a loaded arsenal of weapons to use against him in November if he wins the Republican nomination for Governor in August.